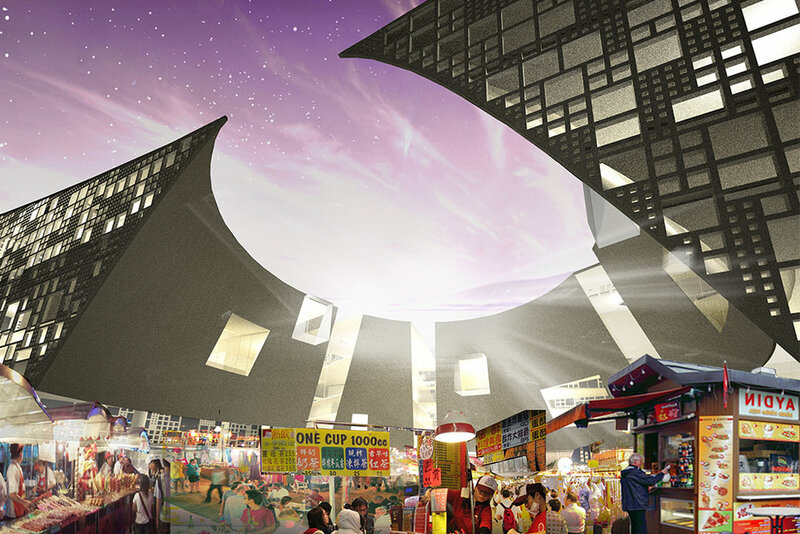 The competition entry design for the New Taipei City Museum of Art was an intensely public experience aimed at encouraging social interaction with art. The project is defined around a partially covered plaza, and focuses on creating unconventional gallery spaces that are visually connected to the building’s buzzing public center. The project’s many semi-enclosed spaces and connections between the interior and exterior provide flexible venues for a variety of public experiences. The project merges the building and landscape to produce a unified architectural expression sensitive to the complex site concerns posed by the neighboring park, river, canal, train station, and tramway. The Plaza serves as a major civic space for the display of art and for public activity; and is intended to function as an essential space not just for the museum but for the City. 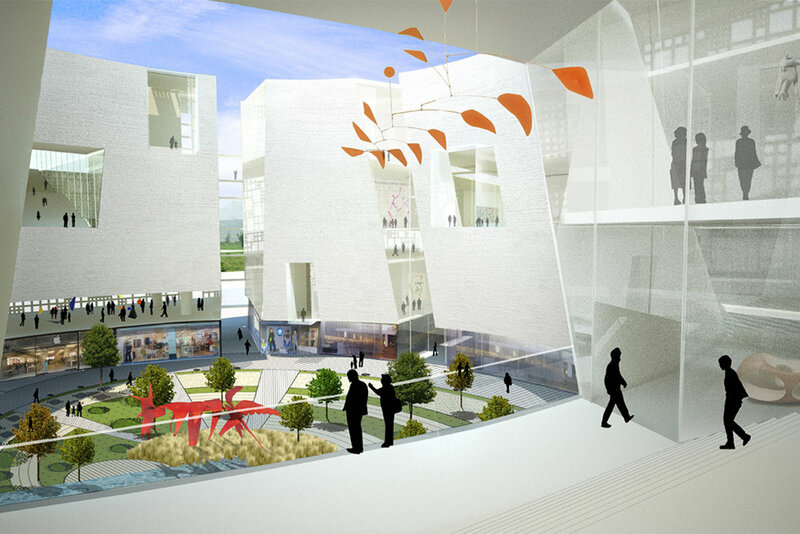 The museum surrounds this central zone and is segmented into pieces by the “alleyways” that radiate from the plaza to connect it to surrounding site amenities. The “alleyways” cutting through the building mass create additional retail frontage at the ground level and allow give large gallery spaces access to natural light on multiple sides. A geometric “screen” of lightweight, high performance concrete, on the facades facing the city and the park, allows extensive glazing and views while protecting artwork from direct sunlight. The high, canted walls of the galleries around the plaza bring visitors on upper floors out into the grand public space, and the deep overhang provides partial shelter from rain and sun for the plaza below. The project’s enthusiastic embrace of water, light, and landscape combine to provide a large and fragrant space, conducive to public occupation and usage.